Ben and I went out for dinner on a Friday evening. 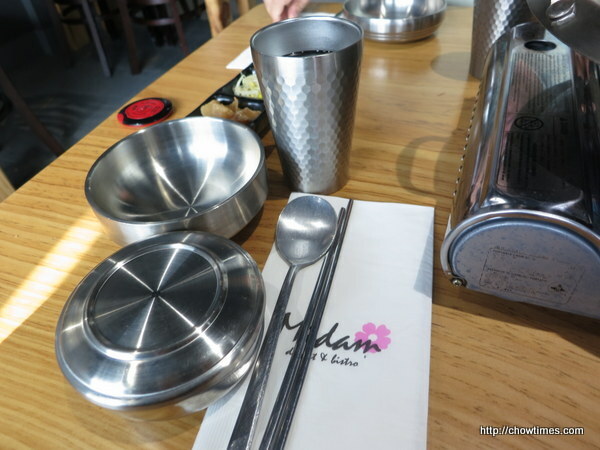 We decided to have Korean cuisine at Midam Cafe on Garden City Road. 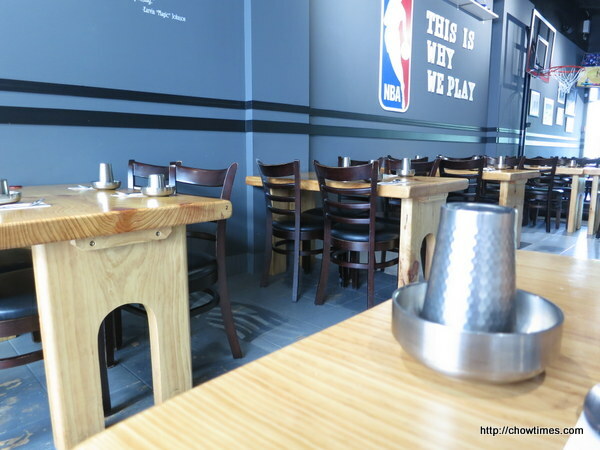 Walking into the restaurant. 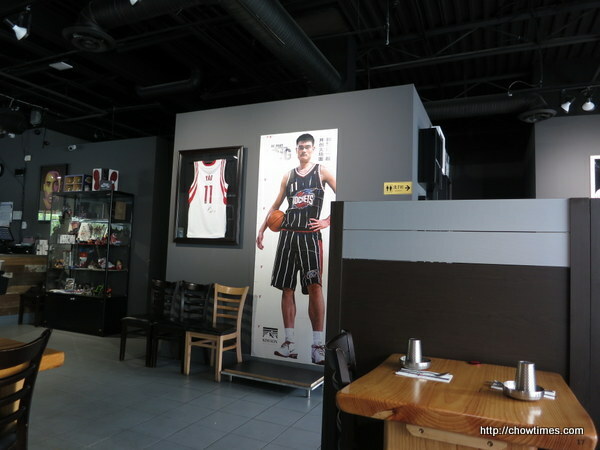 it is all about basket ball, with Yao Ming’s life size poster on the entrance way. 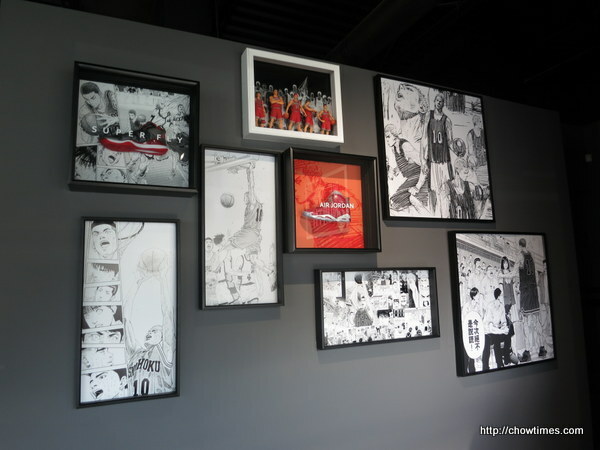 More basketball posters on the wall. 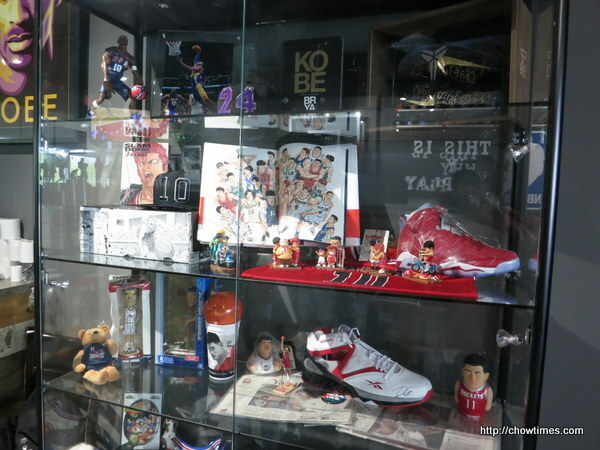 There is a case of memorabilia of basket ball celebrity like Kobe and Yao Ming’s. We were there just past 5PM and the place is still empty. 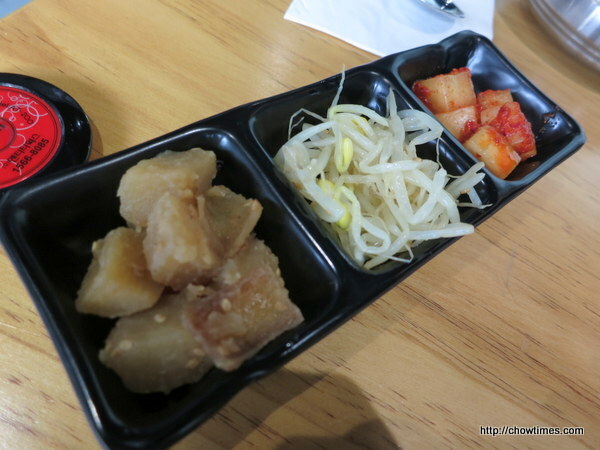 Banchans, the little dishes that comes with your order. Surprisingly, no kinchee. 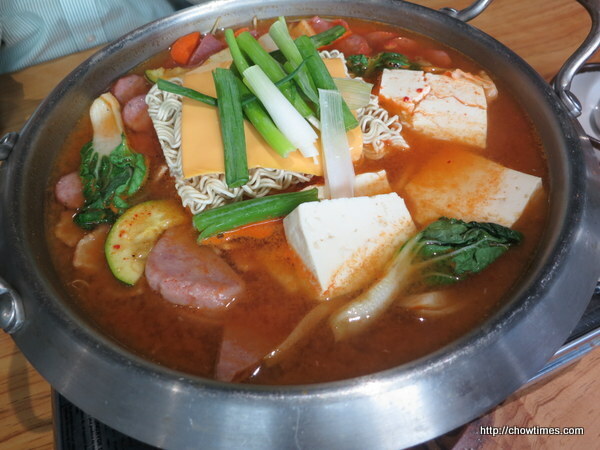 We shared a Budae Hot Pot which comes with sausage, ham, tofu, cheese, bacon, ramen and vegetables. The hot pot came with 2 bowls of steamed rice. We felt that the broth was too salty. 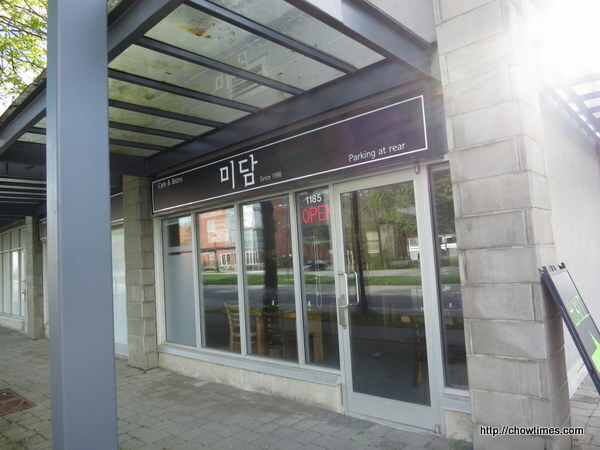 The hot pot is CAD28 before tax and tip, a little pricey considering the ingredients. The cutleries are typical Korean style cutleries, i.e. metallic.